Film memorabilia collector and historian Zafar Aabid Balani remembers a few incidents from the career of the screen legend. Mahjabeen Bano, known as Meena Kumari, entered the world of cinema as child artiste Baby Meena to support her family. In time she became one of the finest actresses of Hindi cinema whose name remains synonymous with a certain depth of feeling and a melancholic air. To this day, her ability to breathe life into any role remains unsurpassed. On the occasion of her 85th birth anniversary, we went down memory lane with Zafar Aabid Balani, film memorabilia collector, historian, and ardent admirer of Meena Kumari, as he recollected some of the moments he spent in the company of the legendary actress. In the late 1950s or early 1960s, a young boy of about 11 was walking down Mumbai's Juhu beach when he spotted a film shoot that was underway. “Meenaji was in a white saree with hair open, looking absolutely beautiful while shooting for the song ‘Sheesha Hai Dil Itna Na Ucchalo’ from Dil Apna Aur Preet Parai (1960),” Balani remembers. “I told [one of the film crew] that I wanted to meet the actress. He replied that she would not meet me and started arguing. When the shot got over, Meenaji enquired about the commotion and he told her that this boy wants to meet you. She beckoned me and asked what I wanted. I told her I had come from Kutch and had seen her photograph in a magazine. Perhaps she liked the fact that an 11-year-old boy recognized her." This is how Balani met Meena Aapa, as he fondly called her, for the first time. "About 2-3 years later, I saw her again at Shree Sound Studios. She recalled meeting me and I asked her if I could come and see her if I knew where she was shooting. She agreed and thereafter I would meet her every time I went to Bombay,” he adds. Thus, began a friendship between Balani and the acclaimed actress. Meena Kumari was known to love children, but Balani recalled that the actress felt that sometimes there was a lack of authenticity of feeling in the performances of child artistes. 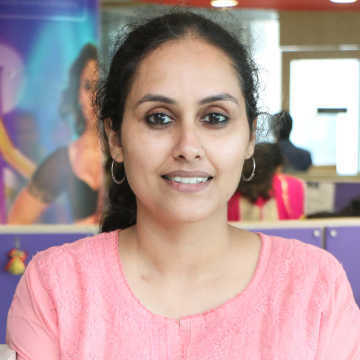 So when she had to shoot for Chirag Kahan Roshni Kahan (1959), she requested director Devendra Goel to find a well-trained child with whom she would have some chemistry. The director had chosen Honey Irani, who made her debut with this film, and suggested that Irani stay with Meena Kumari for some time to develop a familial bond. 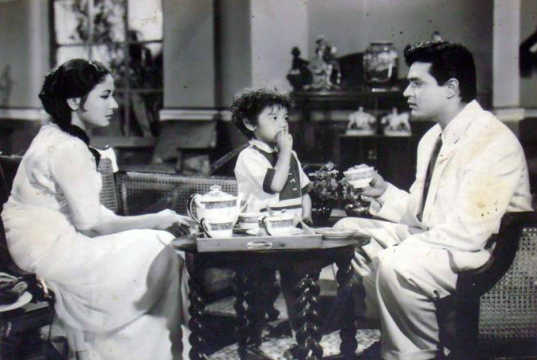 After he persuaded Irani’s mother, Honey stayed with the actress for about four weeks before the shoot and also while the shoot was underway. During this time, the child became so attached to Meena Kumari that after the shooting was complete, she refused to go back home and only agreed to do so after much persuasion! Balani recalled that Meena Kumari was slated to work in Mehboob Khan’s Amar (1954) and had even started shooting for the film, but life had changed after marriage and her husband, the writer-director Kamal Amrohi, was not very supportive of her working on the film. She had even signed on for Bimal Roy’s classic Devdas (1955) and was to play Paro while Nargis was to be cast as Chandramukhi, but, again, she was unable to work on the film and the role eventually went to the Bengali star Suchitra Sen.
Interestingly, Meena Kumari had initially refused to work in Sahib Bibi Aur Ghulam when Guru Dutt first approached her in 1958. Dutt then offered the role to other actresses, but as fate would have it, he wasn’t able to put the right cast together. Then, around 1960-61, he went to her home and offered the role again. By now, the rift in her relationship with Amrohi had widened and she was taking on more films. 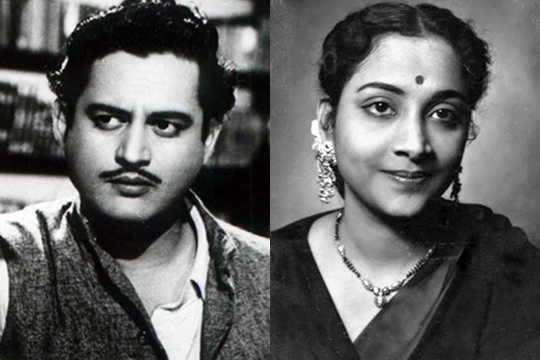 When Guru Dutt arrived at her home, he found she was away shooting and left the script with her sister, Khursheed Bano. When Meena Kumari returned, she was shocked to find the script of Sahib Bibi Aur Ghulam. She started reading it immediately and called Dutt at 2 a.m. to tell him that she would play the role of Chhoti Bahu. But Meena Kumari had one request for the legendary filmmaker. She asked for the film to be shot in a linear way, as the story progresses, so that she could map the changes in her character. This was the first time both of them had shot a film in this way, from start to finish, exactly in keeping with the timeline of the script. Rejecting the title of ‘Tragedy Queen’ that was bestowed upon the actress for the tragic roles that she played to perfection in her career, Balani recalled that Meena Kumari never understood why that moniker had been given to her. 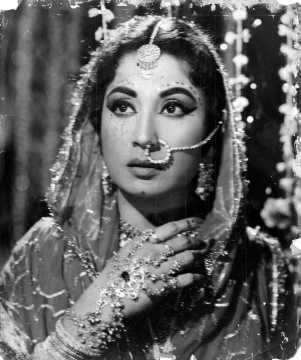 In fact, he sees Pakeezah (1972) as being memorable not so much for her tragic role as for her exquisite dancing ability. 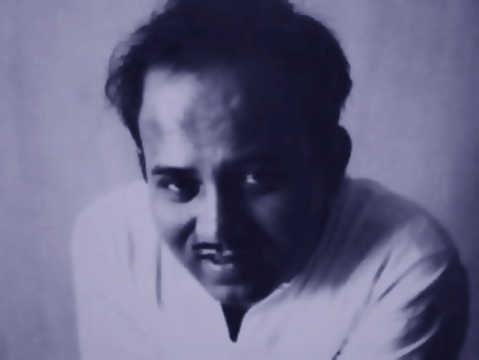 Feeling that she had not been given her due as a dancer, he recalled the legendary Kathak master Lachchu Maharaj’s praise for Meena Kumari’s dance when he remarked on the unique way in which she would take a turn. “The way in which she would turn, the angles of her shoulders, come naturally to her and cannot be taught," Lachchu Maharaj had remarked. 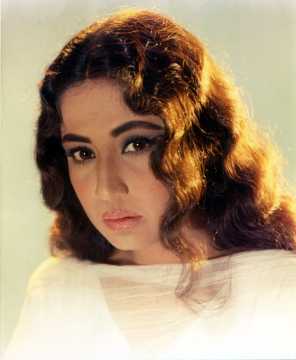 “She had a natural sense of rhythm where she just needed to be briefed about the lighting, mood, camera angles and she would work with that effortlessly,” Balani said, citing the example of 'Piya Aiso Jiya Mein' (Sahib Bibi Aur Ghulam) which was choreographed by Meena Kumari herself as she is filmed in her boudoir, getting dressed for her husband. Other notable Meena Kumari dance numbers include 'Kahan Chali O Brij Ki Bala' from Veer Ghatotkach (1949), 'Chali Gori Pee Se Milan Ko Chali' from Ek Hi Rasta (1956), and 'Aye Baadalon Rimjhim Ke Rang Liye' from the film Chand (1959).